Imagine a world where everyone grows their own tree. Register your tree and see where we plant the other one. Type of trees in our tree kit. We always select the best trees for your area. For individual and low volume purchases we’ll select the tree species to send to you, due to stock and seasonal availability. Imagine a world where everyone grows their own herbs. Ladybugs really love coriander and we all know that they need lots of love right now. Furthermore, there are ridding your plant of bad insects. Grow your own coriander and look after ladybugs. Coriander is really good when used as a medicinal plant. It could help you for example with your skin inflammation, blood pressure and much more. Coriander gives a unique taste to your meal. The seeds are very aromatic with an aftertaste that reminds orange zest. Use it fresh to accompanied your fish, poultry, vegetables or whatever you like! Herb seeds, growing pot and pellet. 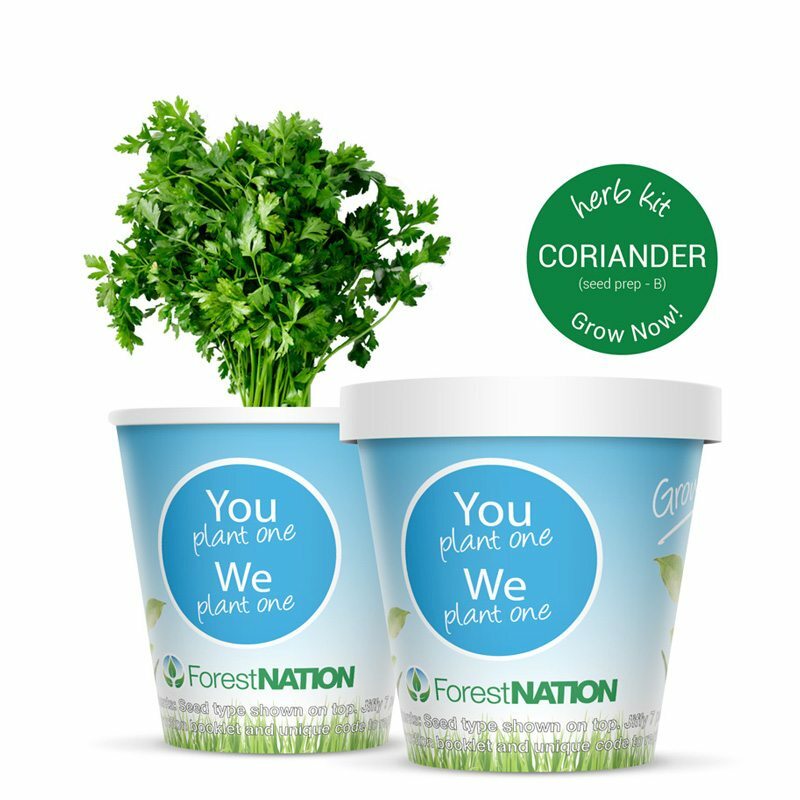 Your complete Coriander Growing Kit. Register your herb in the herb registry and plant it on the map. Our commitment to plant a tree in a developing country. You can see where when you register your herb.